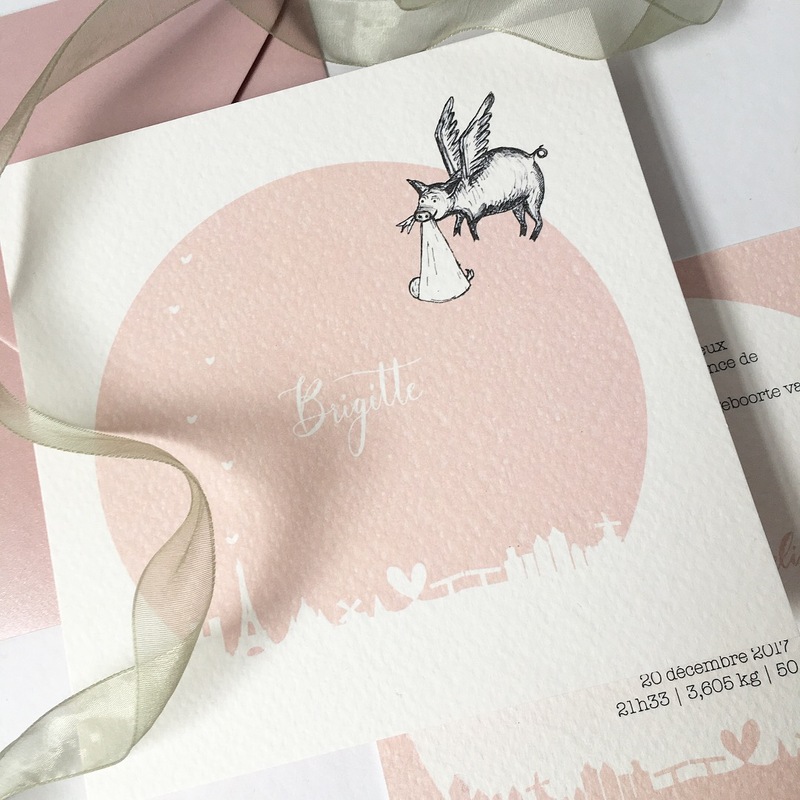 Brigitte was born in Paris. 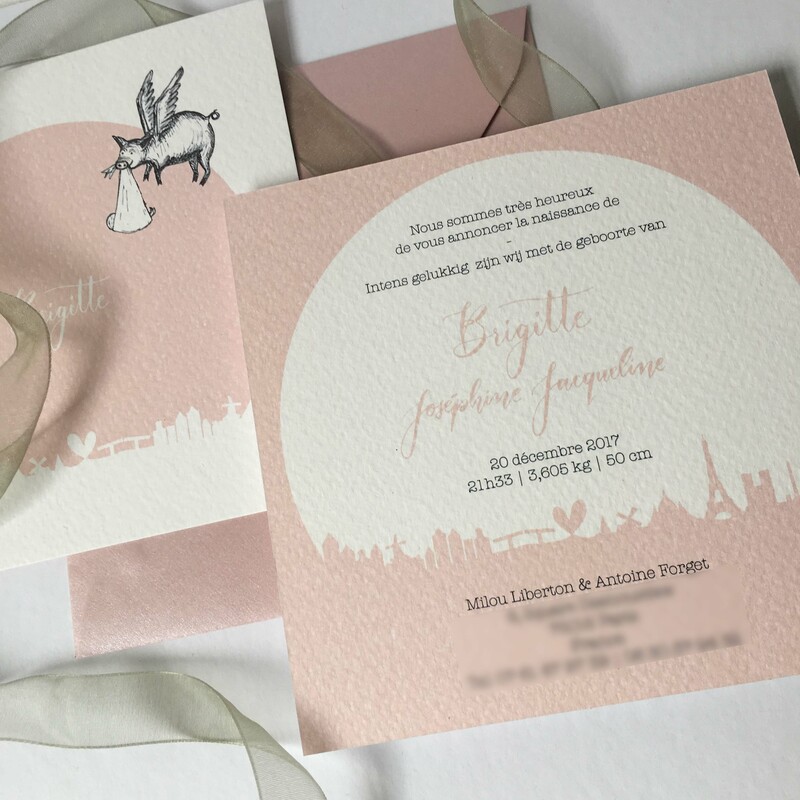 Her dad is a real Parisian, her mum is from Amsterdam, so I incorporated these 2 cities in the design for her birth announcement. 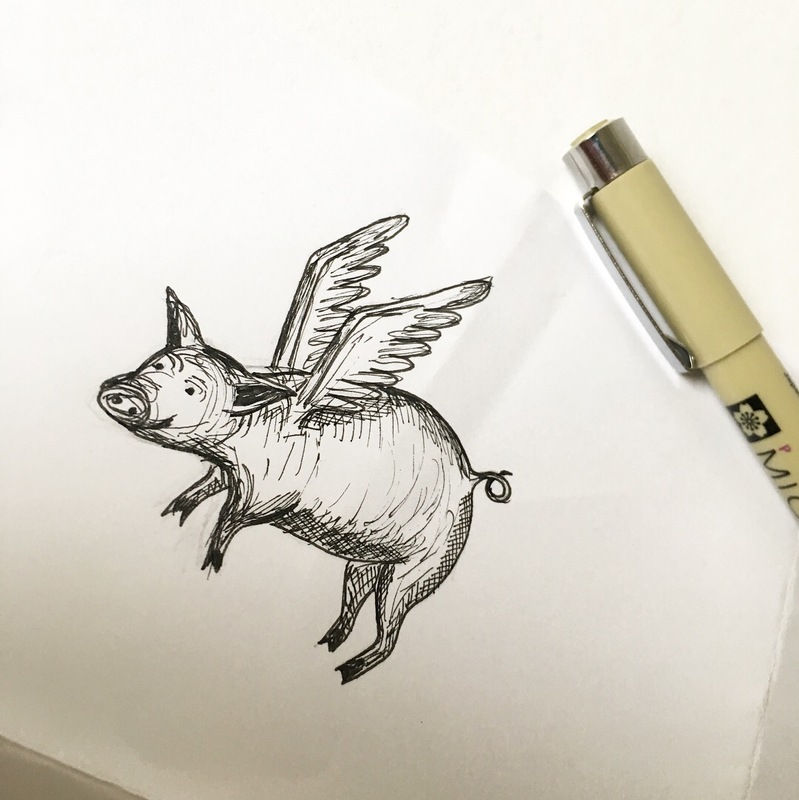 The card includes a flying pig instead of the typical Dutch stork, because her mum is somewhat obsessed with pigs! 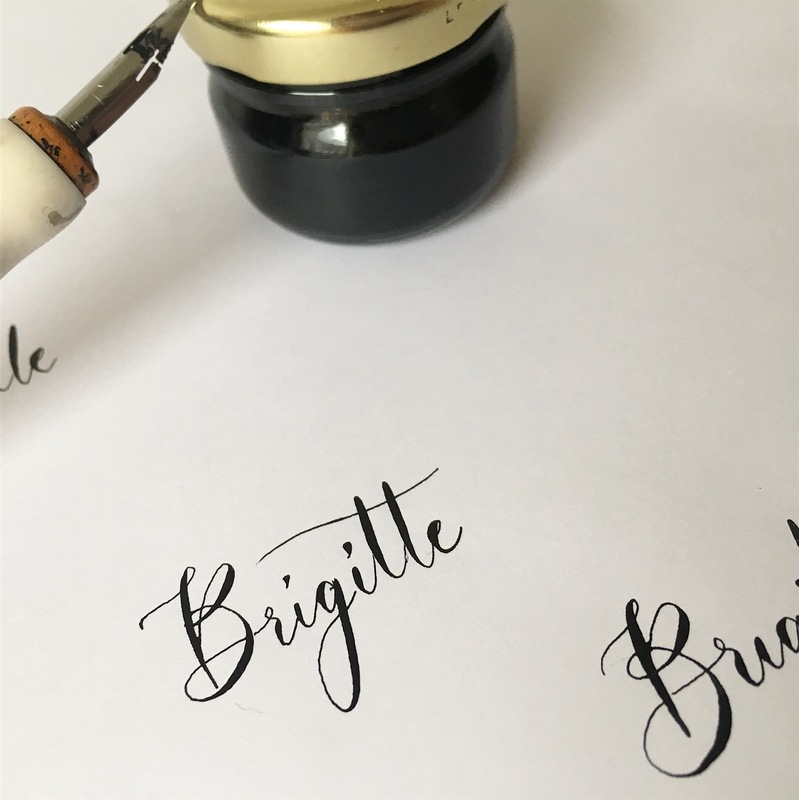 I wrote Brigitte's name in pointed pen calligraphy and then digitalised it. 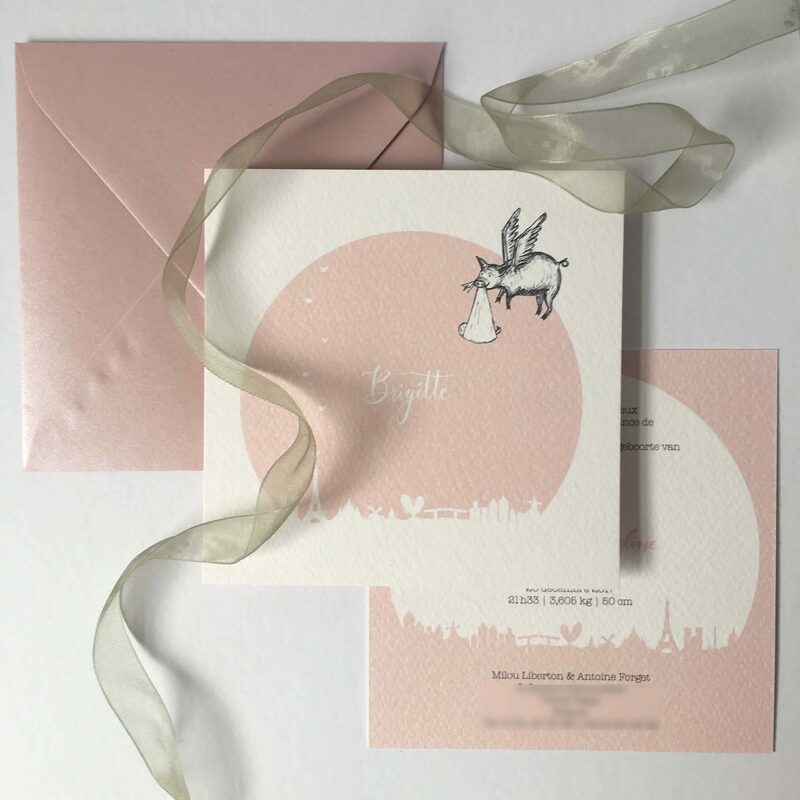 The matching metallic pink envelopes, that I addressed in calligraphy, were the icing on the cake!